Utilizing client/server technology through Firebird , Asoft MRP is able to deliver a robust and cost effective enterprise-wide set of integrated manufacturing and financial solution which is uniquely designed for Malaysia industrial environment. Compare to the other high-priced MRP solutions , Asoft MRP offering complete functionality where able to help the manufacturers to achieve gains in productivity and profits within their financial capabilities . As the software is developed locally, the system can be tailored in a timely manner to best fit the customer’s manufacturing environment at a nominal investment. Asoft MRP offers a dynamic Material Requirement Control System capable of forecasting capacity utilisation and controlling your raw material requirement based on actual orders and forecasts . 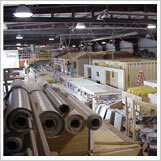 It manages customer’s order and purchases up to the final collection and payment. 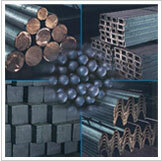 By pooling the information from Purchase Order, Stock Balance and Work Order, the resultant MRP II report gives weekly dynamic analysis of the stock levels, action messages are highlighted to assist in making superior material and capacity decision. 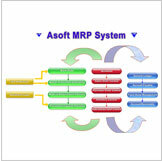 Asoft MRP is built on extensive industry experience and commitment of professional services. The complete implementation of the system ensures the company to achieve higher operation efficiencies with faster return on investment . Cross-platform SQL engine that configurable in Windows Server and Linux Server. License free open source database that combines ease of use, low maintenance costs, and enterprise power. System built with No.1 reporting tools which is based on a visual report designer so reports can be readily modified by non-IT staff. Build in system security based on users and groups of users to restrict access at form and field level. Over 25 years of site experience in manufacturing sector that guarantee fail-proof implementation Over 14 years of business software development that always deliver solution ahead of lead time . 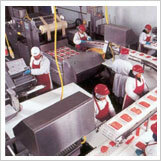 Using rapid development methodology that customization can be done efficiently with additional functionality to accommodate new manufacturing techniques. Offer comprehensive consulting services and round-the-clock support to ensure successful implementation and secure highest return on investment A manufacturing suite that designed for Malaysia industry with complete functionality at it's best value .